The illustrator behind the world famous children’s classic The Gruffalo brings his unique style to this year’s Royal Mail Christmas stamp issue. 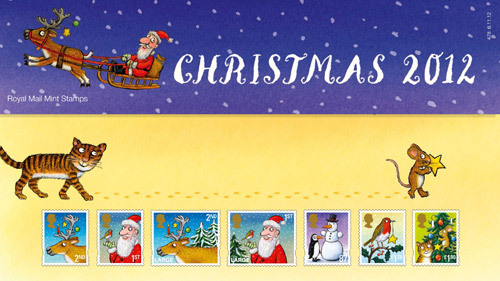 The seven stamps, issued today, are inspired by classic Christmas images, brought to life through the instantly recognisable illustrations of Axel Scheffler. His gentle and disarming approach can be seen straight away on both the 1st and 2nd class stamps; a Christmas robin perches on Santa’s hand on the 1st Class stamp, while a reindeer’s antlers take on the role of a Christmas tree for the 2nd Class image. 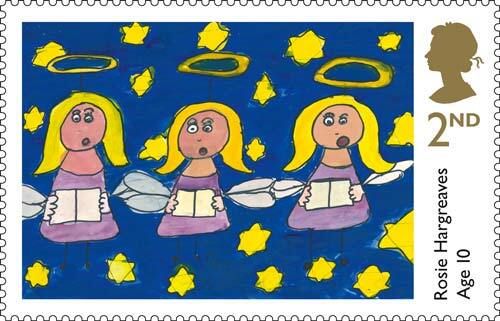 Christmas 2012 – 1st and 2nd class stamps. The other Christmas stamps feature a snowman meeting a penguin (87p), a Christmas robin bearing a star decoration in his beak (£1.28), and on the £1.90 stamps, the cat and mouse set aside their normal differences to decorate the Christmas tree together. 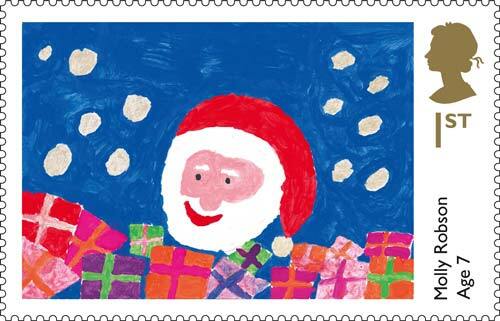 Christmas 2012 – 87p, £1.28 and £1.90 stamps. 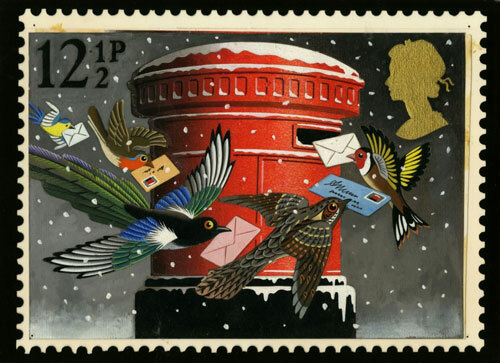 Designers Webb & Webb were commissioned by Royal Mail to devise the Christmas stamps and suggested Axel Scheffler, who they worked with to create images suitable for the small format of a stamp. 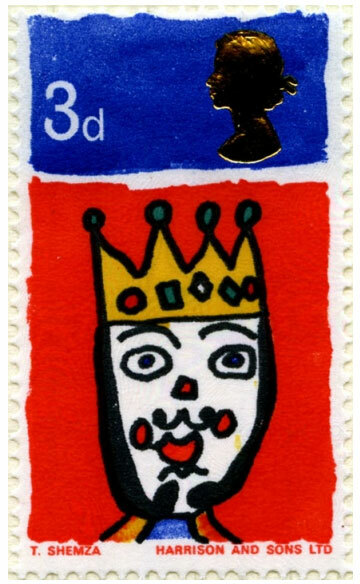 Two different pictorial ‘first day of issue postmarks’ are available, and as always with Christmas stamp issues one of these is from the village of Bethlehem in Wales. 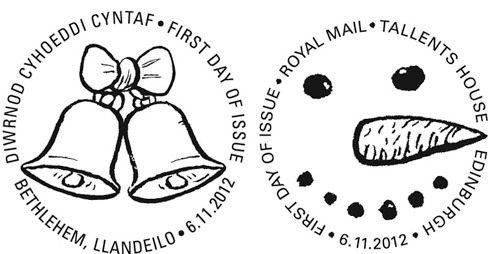 Christmas 2012 – First Day of Issue handstamps. 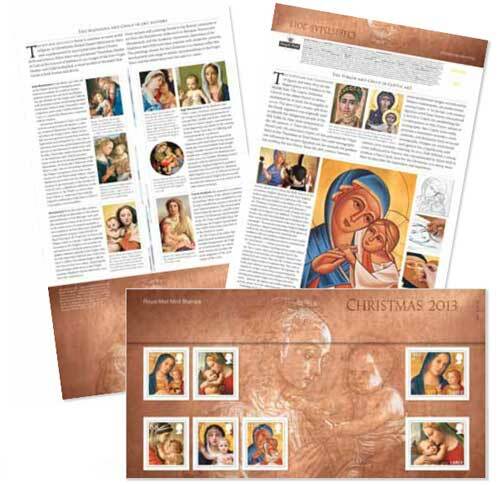 Royal Mail’s policy for Christmas stamps is to alternate non-secular and secular themes; the 2011 stamps marked the 400th anniversary of the King James Bible, and this year a secular theme has been chosen. 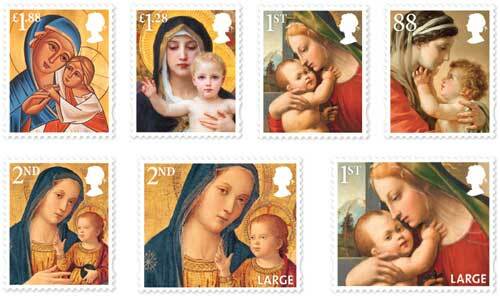 To provide choice for customers, the popular 1st and 2nd Class Madonna and Child stamps, first issued in 2007, will also be available. 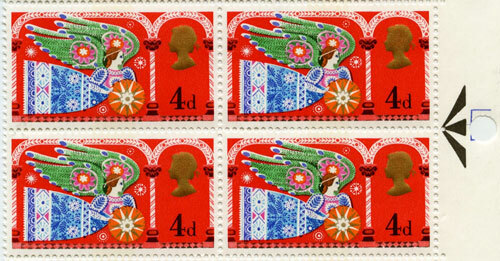 Stamps and stamp products are available at most Post Office branches, online at www.royalmail.com/christmas2012 and from Royal Mail Tallents House (tel. 08457 641 641), 21 South Gyle Crescent, Edinburgh, EH12 9PB.